Considerations on the Propriety of Imposing Taxes in the British Colonies was the most widely read political pamphlet of 1765. It was written by Maryland attorney and politician Daniel Dulany during the Stamp Act crisis. Dulany was one of the wealthiest men in the colonies and this work was the most read pamphlet in the colonies in 1765, the year the Stamp Act was passed and was to begin. In the pamphlet, Dulany clearly lays out why Parliament has no right to tax the colonists. The majority of the pamphlet is spent refuting the idea of "virtual representation," an idea used by supporters of the Stamp Act to defend it. Virtual representation meant that the colonists were represented in Parliament by other elected officials, in the sense that they had the well being of all citizens in mind. You can learn more about the idea of virtual representation in The Regulations Lately Made Concerning the Colonies by Thomas Whately, the secretary of Prime Minister George Grenville and author of the Stamp Act. Learn more about the history of the Stamp Act or read the text of the Stamp Act here. You can read Considerations on the Propriety of Imposing Taxes in the British Colonies by Daniel Dulany below. IN the constitution of England, the three principal forms of government, monarchy, aristocracy, and democracy, are blended together in certain proportions; but each of these orders, in the exercise of the legislative authority, hath its peculiar department, from which the others are excluded. In this division, the granting of supplies, or laying taxes, is deemed to be the province of the House of Commons, as the representative of the people. - All supplies are supposed to flow from their gift; and the other orders are permitted only to assent, or reject generally, not to propose any modification, amendment, or partial alteration of it. This observation being considered, it will undeniably appear, that, in framing the late Stamp Act, the Commons acted in the character of representative of the colonies. They assumed it as the principle of that measure, and the propriety of it must therefore stand, or fall, as the principle is true or false: For the preamble sets forth, that the Commons of Great-Britain had resolved to give and grant the several rates and duties imposed by the act; but what right had the Commons of Great-Britain to be thus munificent at the expence of the Commons of America? - To give property not belonging to the giver, and without the consent of the owner, is such evident and flagrant injustice, in ordinary cases, that few are hardy enough to avow it; and, therefore, when it really happens, the fact is disguised and varnished over by the most plausible pretences the ingenuity of the giver can suggest. - But it is alledged that there is a virtual, or implied, representation of the colonies springing out of the constitution of the British government: And it must be confessed on all hands, that, as the representation is not actual, it is virtual, or it doth not exist at all; for no third kind of representation can be imagined. The colonies claim the privilege, which is common to all British subjects, of being taxed only with their consent given by their representatives, and all the advocates for the Stamp Act admit this claim. Whether, therefore, upon the whole matter, the imposition of the Stamp Duties is a proper exercise of constitutional authority, or not, depends upon the single question, Whether the Commons of Great-Britain are virtually the representatives of the Commons of America, or not. The advocates for the Stamp Act admit, in express terms, that "the colonies do not choose members of Parliament," but they assert that "the colonies are virtually represented in the same manner with the non-electors resident in Great-Britain." How have they proved this position? Where have they defined, or precisely explained what they mean by the expression, virtual representation? As it is the very hinge upon which the rectitude of the taxation turns, something more satisfactory than mere assertion, more solid than a form of expression, is necessary; for, how can it be seriously expected, that men, who think themselves injuriously affected in their properties and privileges, will be convinced and reconciled by a fanciful phrase, the meaning of which can't be precisely ascertained by those who use it, or properly applied to the purpose for which it hath been advanced? They argue, that "the right of election being annexed to certain species of property, to franchises, and inhabitancy in some particular places, a very small part of the land, the property, and the people of England are comprehended in those descriptions. All landed property, not freehold, and all monied property, are excluded. 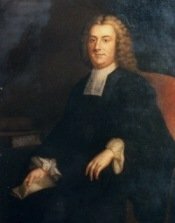 The merchants of London, the proprietors of the public funds, the inhabitants of Leeds, Halifax, Birmingham, and Manchester, and that great corporation of the East-India Company, none of them choose their representatives, and yet are they all represented in Parliament, and the colonies being exactly in their situation, are represented in the same manner." Now, this argument, which is all that their invention hath been able to supply, is totally defective; for, it consists of facts not true, and of conclusions inadmissible. It is so far from being true, that all the persons enumerated under the character of non-electors, are in that predicament, that it is indubitably certain there is no species of property, landed, or monied, which is not possessed by very many of the British electors. I shall undertake to disprove the supposed similarity of situation, whence the same kind of representation is deduced, of the inhabitants of the colonies, and of the British non-electors; and, if I succeed, the notion of a virtual representation of the colonies must fail, which, in truth, is a mere cobweb, spread to catch the unwary, and intangle the weak. I would be understood: I am upon a question of propriety, not of power; and, though some may be inclined to think it is to little purpose to discuss the one, when the other is irresistible, yet are they different considerations; and, at the same time I invalidate the claim upon which it is founded, I may very consistently recommend a submission to the law, whilst it endures. I shall say nothing of the use I intend by the discussion; for if it should not be perceived by the sequel, there is no use in it, and, if it should appear then, it need not be premised. Lessees for years, copyholders, proprietors of the public funds, inhabitants of Birmingham, Leeds, Halifax, and Manchester, merchants of the city of London, or members of the corporation of the East-India Company, are, as such, under no personal incapacity to be electors; for they may acquire the right of election, and there are actually not only a considerable number of electors in each of the classes of lessees for years, etc. but in many of them, if not all, even Members of Parliament. The interests, therefore, of the non-electors, the electors, and the representatives, are individually the same; to say nothing of the connection among neighbours, friends, and relations. The security of the non-electors against oppression, is, that their oppression will fall also upon the electors and the representatives. The one can't be injured, and the other indemnified. Further, if the non-electors should not be taxed by the British Parliament, they would not be taxed at all; and it would be iniquitous as well as a solecism, in the political system, that they should partake of all the benefits resulting from the imposition, and application of taxes, and derive an immunity from the circumstance of not being qualified to vote. Under this constitution then, a double or virtual representation may be reasonably supposed. The electors, who are inseparably connected in their interests with the non-electors, may be justly deemed to be the representatives of the non-electors, at the same time they exercise their personal privilege in the right of election; and the members chosen, therefore, the representatives of both. This is the only rational explanation of the expression, virtual representation. None has been advanced by the assertors of it, and their meaning can only be inferred from the instances, by which they endeavour to elucidate it, and no other meaning can be stated, to which the instances apply. It is an essential principle of the English constitution, that the subject shall not be taxed without his consent, which hath not been introduced by any particular law, but necessarily results from the nature of that mixed government; for, without it, the order of democracy could not exist. Parliaments were not formerly so regular in point of form as they now are. Even the number of knights for each shire were not ascertained. The first writs now extant for their choice, are 22d Edward I by which, two, as at this day, were directed to be chosen for each county; but the king not being satisfied with that number, other writs were issued for choosing two more. This discretionary power being thought inconvenient, was afterwards restrained by the statutes of Richard II, Henry IV, and subsequent acts. In earlier times, there was more simplicity in the rules of government, and men were more solicitous about the essentials, than the forms of it. When the consent of those who were to perform, or pay anything extra-feudal, was fairly applied for and obtained, the manner was little regarded; but as the people had reason to be jealous of designs to impose contributions upon them without their consent, it was thought expedient to have formalities regulated, and fixed, to prevent this injury to their rights, not to destroy a principle, without which, they could not be said to have any rights at all. Before the introduction of those formalities, which were framed with a view to restrain the excursions of power, and to secure the privileges of the subject, as the mode of proceeding was more simple, so perhaps this foundation of consent was more visible than it is at present, wherefore it may be of use to adduce some instances, which directly point out this necessary and essential principle of British liberty. The Lords and Commons have separately given aids and subsidies to the crown. In 13th Edward III, the Lords granted the tenth of all the corn, etc., growing upon their demesnes, the Commons then granting nothing, nor concerning themselves with what the Lords thought fit to grant out of their own estates. At other times, the knights of shires, separating from the rest of the Commons, and joining with the Lords, have granted a subsidy, and the representatives of cities and boroughs have likewise granted subsidies to the Crown separately, as appears by a writ in 24th Edward I, which runs in these words: The earls, barons, and knights, having given unto us in parliament, the eleventh part, and the citizens and burgesses the seventh part of their goods and chattels, etc. When an affair happened, which affected only some individuals, and called for an aid to the Crown, it was common for those individuals alone to be summoned; to which purpose several writs are extant. In 35th Edward III, there is a writ (which Dugdale has printed in his collection of writs of summons to parliament) directed to the Earl of Northampton, which, after reciting the confusion the affairs of Ireland were in, and that he, and some other English Lords had possessions in that kingdom, and were therefore more particularly obliged to the defence of it, follows in these words: We will confer with you, and others of the same kingdom (viz. England) possessed of lands in the said country. But, that the reader may perceive how strictly the principle, of no persons being taxed without their consent, hath been regarded, it is proper to take notice, that, upon the same occasion, writs were likewise directed even to women, who were proprietors of land in Ireland, to send their deputies to consult, and consent to what should be judged necessary, to be done on the occasion:... We command you to send to Westminster, some person or persons, whom you may confide in, to confer with us, on the abovesaid affair, and to do and assent, in your name, to whatever shall be there decreed. A reflection naturally arises from the instances cited: When, on a particular occasion, some individuals only were to be taxed, and not the whole community, their consent only was called for, and in the last instance it appears, that they, who upon an occasion of a general tax, would have been bound by the consent of their virtual representatives (for in that case they would have had no actual representatives) were in an affair calling for a particular aid from them, separate from the rest of the community, required to send their particular deputies. But how different would be the principle of a statute, imposing duties without their consent who are to pay them, upon the authority of their Gift, who should undertake to give, what doth not belong to them. That great king, Edward I, inserted in his writs of summons, as a first principle of law, that what concerns all, must be approved by all, which by no torture can be made to signify that their approbation or consent only is to be required in the imposition of a tax, who are to pay no part of it. The situation of the non-electors in England - their capacity to become electors - their inseparable connection with those who are electors, and their representatives - their security against oppression resulting from this connection, and the necessity of imagining a double or virtual representation, to avoid iniquity and absurdity, have been explained - the inhabitants of the colonies are, as such, incapable of being electors, the privilege of election being exerciseable only in person, and therefore if every inhabitant of America had the requisite freehold, not one could vote, but upon the supposition of his ceasing to be an inhabitant of America, and becoming a resident of Great-Britain, a supposition which would be impertinent, because it shifts the question - should the colonies not be taxed by parliamentary impositions, their respective legislatures have a regular, adequate, and constitutional authority to tax them, and, therefore, there would not necessarily be an iniquitous and absurd exemption, from their not being represented by the House of Commons. There is not that intimate and inseparable relation between the electors of Great-Britain, and the inhabitants of the colonies, which must inevitably involve both in the same taxation; on the contrary, not a single actual elector in England might be immediately affected by a taxation in America, imposed by a statute which would have a general operation and effect, upon the properties of the inhabitants of the colonies. The latter might be oppressed in a thousand shapes, without any sympathy, or exciting any alarm in the former. Moreover, even acts, oppressive and injurious to the colonies in an extreme degree, might become popular in England, from the promise or expectation, that the very measures which depressed the colonies, would give ease to the inhabitants of Great-Britain. It is indeed true, that the interests of England and the colonies are allied, and an injury to the colonies produced into all its consequences, will eventually affect the mother country; yet, these consequences being generally remote, are not at once foreseen; they do not immediately alarm the fears, and engage the passions of the English electors; the connection between a freeholder of Great-Britain, and a British American being deducible only thro' a train of reasoning, which few will take the trouble, or can have opportunity, if they have capacity, to investigate; wherefore, the relation between the British Americans, and the English electors, is a knot too infirm to be relied on as a competent security, especially against the force of a present, counteracting expectation of relief. If it would have been a just conclusion, that the colonies being exactly in the same situation with the non-electors of England, and therefore represented in the same manner; it ought to be allowed, that the reasoning is solid, which, after having evinced a total dissimilarity of situation, infers, that their representation is different. The colonies have a complete and adequate legislative authority, and are not only represented in their assemblies, but in no other manner. The power of making bye-laws vested in the common council is inadequate and incomplete, being bounded by a few particular subjects; and the common council are actually represented too, by having a choice of members to serve in parliament. How then can the reason of the exemption from internal parliamentary taxations, claimed by the colonies, apply to the citizens of London? The power described in the provincial charters is to make laws, and in the exercise of that power, the colonies are bounded by no other limitations than what result from their subordination to, and dependence upon, Great-Britain. The term bye-laws is as novel, and improper, when applied to the assemblies, as the expression Acts of Assembly would be, if applied to the Parliament of Great-Britain; and it is as absurd and insensible, to call a colony a common corporation, because not an independent kingdom, and the power of each to make laws and bye-laws, are limited, tho' not comparable in their extent, and the variety of their objects, as it would be to call Lake Erie, a Duck-puddle, because not the Atlantic Ocean. Should the analogy between the colonies and corporations be even admitted for a moment, in order to see what would be the consequence of the postulatum, it would only amount to this: The colonies are vested with as complete authority to all intents and purposes to tax themselves, as any English corporation is to make a bye-law, in any imaginable instance for any local purpose whatever, and the Parliament doth not make laws for corporations upon subjects, in every respect proper for bye-laws. But I don't rest the matter upon this, or any other circumstance, however considerable, to prove the impropriety of a taxation by the British Parliament. I rely upon the fact, that not one inhabitant in any colony is, or can be actually or virtually represented by the British House of Commons, and therefore, that the stamp duties are severely imposed. But it has been alledged, that if the right to give and grant the property of the colonies by an internal taxation is denied by the House of Commons, the subordination and dependence of the colonies, and the superintendence of the British Parliament can't be consistently establish'd. - That any supposed line of distinction between the two cases, is but "a whimsical imagination, a chimerical speculation against fact and experience." - Now, under favour, I conceive there is more confidence, than solidity in this assertion, and it may be satisfactorily and easily proved, that the subordination and dependence of the colonies may be preserved, and the supreme authority of the mother country be firmly supported, and yet the principle of representation, and the right of the British House of Commons flowing from it, to give and grant the property of the commons of America, be denied. The colonies are dependent upon Great-Britain, and the supreme authority vested in the King, Lords, and Commons, may justly be exercised to secure, or preserve their dependence, whenever necessary for that purpose. This authority results from, and is implied in the idea of the relation subsisting between England and her colonies; for, considering the nature of human affections, the inferior is not to be trusted with providing regulations to prevent his rising to an equality with his superior. But, though the right of the superior to use the proper means for preserving the subordination of his inferior is admitted, yet it does not necessarily follow, that he has a right to seize the property of his inferior when he pleases, or to command him in every thing; since, in the degrees of it, there may very well exist a dependence and inferiority, without absolute vassalage and slavery. In what the superior may rightfully controul, or compel, and in what the inferior ought to be at liberty to act without controul or compulsion, depends upon the nature of the dependence, and the degree of the subordination; and, these being ascertained, the measure of obedience, and submission, and the extent of the authority and superintendence will be settled. When powers, compatible with the relation between the superior and inferior, have, by express compact, been granted to, and accepted by, the latter, and have been, after that compact, repeatedly recognized by the former. - When they may be exercised effectually upon every occasion without any injury to that relation, the authority of the superior can't properly interpose; for, by the powers vested in the inferior, is the superior limited. By their constitutions of government, the colonies are empowered to impose internal taxes. This power is compatible with their dependence, and hath been expressly recognized by British ministers and the British Parliament, upon many occasions; and it may be exercised effectually without striking at, or impeaching, in any respect, the superintendence of the British Parliament. May not then the line be distinctly and justly drawn between such acts as are necessary, or proper, for preserving or securing the dependence of the colonies, and such as are not necessary or proper for that very important purpose? When the powers were conferred upon the colonies, they were conferred too as privileges and immunities, and accepted as such; or, to speak more properly, the privileges belonging necessarily to them as British subjects, were solemnly declared and confirmed by their charters, and they who settled in America under the encouragement and faith of these charters, understood, not only that they might, but that it was their right, to exercise those powers without controul, or prevention. In some of the charters the distinction is expressed, and the strongest declarations made, and the most solemn assurances given, that the settlers should not have their property taxed without their own consent by their representatives; though their legislative authority is limited at the same time, by the subordination implied in their relation, and they are therefore restrained for making acts of assembly repugnant to the laws of England; and, had the distinction not been expressed, the powers given would have implied it, for, if the Parliament may in any case interpose, when the authority of the colonies is adequate to the occasion, and not limited by their subordination to the mother country, it may in every case, which would make another appellation more proper to describe their condition, than the name by which their inhabitants have been usually called, and have gloried in. Any oppression of the colonies, would intimate an opinion of them I am persuaded they do not deserve, and their security as well as honour ought to engage them to confute. When contempt is mixed with injustice, and insult with violence, which is the case when an injury is done to him who hath the means of redress in his power; if the injured hath one inflammable grain of honour in his breast, his resentment will invigorate his pursuit of reparation, and animate his efforts to obtain an effectual security against a repetition of the outrage. If the case supposed should really happen, the resentment I should recommend would be a legal, orderly, and prudent resentment, to be expressed in a zealous and vigorous industry, in an immediate use and unabating application of the advantages we derive from our situation - a resentment which could not fail to produce effects as beneficial to the mother country as to the colonies, and which a regard to her welfare as well as our own, ought to inspire us with on such an occasion. The general assemblies would not, I suppose, have it in their power to encourage by laws, the prosecution of this beneficial, this necessary measure; but they might promote it almost as effectually by their example. I have in my younger days seen fine sights, and been captivated by their dazzling pomp and glittering splendor; but the sight of our representatives, all adorned in compleat dresses of their own leather, and flax, and wool, manufactured by the art and industry of the inhabitants of Virginia, would excite, not the gaze of admiration, the flutter of an agitated imagination, or the momentary amusement of a transient scene, but a calm, solid, heart-felt delight. Such a sight would give me more pleasure than the most splendid and magnificent spectacle the most exquisite taste ever painted, the richest fancy ever imagined, realized to the view - as much more pleasure as a good mind would receive from the contemplation of virtue, than of elegance; of the spirit of patriotism, than the ostentation of opulence. Not only, "as a friend to the colonies," but as an inhabitant having my all at stake upon their welfare, I desire an "exemption from taxes imposed without my consent," and I have reflected longer than "a moment upon the consequences:" I value it as one of the dearest privileges I enjoy: I acknowledge dependence on Great-Britain, but I can perceive a degree of it without slavery, and I disown all other. I do not expect that the interests of the colonies will be considered by some men, but in subserviency to other regards. The effects of luxury, and venality, and oppression, posterity may perhaps experience, and SUFFICIENT FOR THE DAY WILL BE THE EVIL THEREOF.